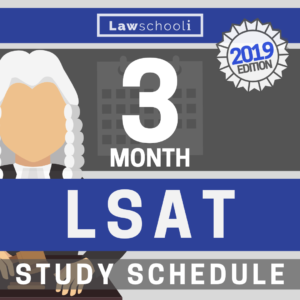 You are at:Home»Admissions»What LSAT Score do I Need to Get Into Stanford Law School? Now, what does this all mean as the LSAT score you specifically need for Stanford Law School? Well, if you have an LSAT better than 169 and a GPA above 3.82, Stanford Law School is potentially an option for you. The difficulty is that Stanford is not just any other law school when it comes to determining your chances by the numbers. Because it is one of the top 3 schools, Stanford has far more applicants that meet its criteria than it has seats to fill. Though this is true to some extent at every school, it is way more true at Stanford, whose 9% acceptance rate is topped only by Yale. This acceptance rate is also so low in part because the overwhelming majority of those students who are accepted at Stanford Law School choose to enroll. These conditions make Stanford Law School into what is known in the admissions game as a “Black Box.” In plain speech, this means that while bad scores might break you, good scores won’t necessarily make you. Because way more applicants than Stanford can admit have numbers in the range they are looking for, they will look to other factors to decide whether you will be accepted. Now here she is discussing how to write the personal statement which is part of the application process. However, the point stands that you don’t need some crazy “hook” such as being an Olympic athlete. What you likely do need to be is interesting, and you want to come across as such in your application. Being an interesting person is going to help at any law school, but Stanford more than any other school can claim to look beyond the numbers and take the whole person into account. The proof of this is in the numbers: because Stanford is an incredibly desirable school (A top 3 school in a place with some of the nicest weather on Earth!) it could easily have the LSAT 25th/75th of Harvard or even better, yet it chooses not to. Meanwhile, if your heart is set on Stanford, remember that while it isn’t Yale, you still need a very high LSAT score (getting a 168 or better is no mean feat!) to have your best chance. Check out some recommended reading for boosting your admissions chances in the law school game, and also remember to post your questions in the comments section! 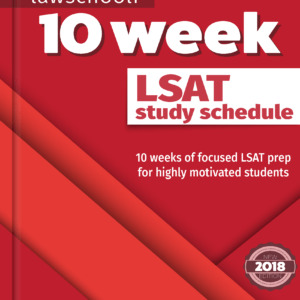 If you want to get into Stanford Law, make sure that you are maximizing your LSAT score by studying with the right LSAT prep books: CLICK HERE to learn how I got a 177 on the LSAT. LSAT LSAT Score SLS Stanford Stanford Law School what are my chances? 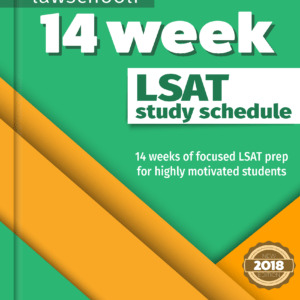 Previous ArticleHow Did You Learn to Stay Focused for the LSAT? 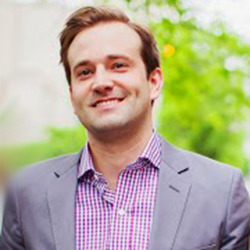 Next Article How Do Law Schools Consider Multiple LSAT Scores? I’m a bit nervous about whether I will be accepted to Stanford and Harvard (the top two schools to which I applied), and am hoping that you can give me your take on my chances. A little information about me: I’m a Black male, and graduated in May of 2014 from Kansas State with a 3.33 cumulative GPA. I work in IT for the oil and gas industry, and will have completed about one full year of employment before the fall 2015 semester begins. I didn’t decide to apply to law school until mid-November, so I’m definitely one of the later applications. I’m taking the LSAT in February, and on my last five practice exams (under strict time conditions and with a fifth experimental section) I have averaged a 176. Since I’ve got about 5 weeks left, I plan on completing the RC book (I’ve already finished the LG and LR books) and drilling the tougher questions on all three sections. I’m hoping to get my score up to a 177-178 by the date of the test. So, do you think there’s hope? I’ve already submitted my applications, but my packet won’t be complete until March obviously. I’m concerned because on Harvard’s website it states that they don’t “normally consider” February LSATs and I’ve heard that Stanford is big on GPA (and mine is well below their 25th percentile). I’m hoping that my URM and non-traditional status will make up for my GPA and timing shortcomings, but don’t know for sure. Any thoughts? Thanks in advance for your response! Your site has been of so much help to me.